War of 1812 Recruitment Advertisements: What Induced Your Ancestor to Serve? 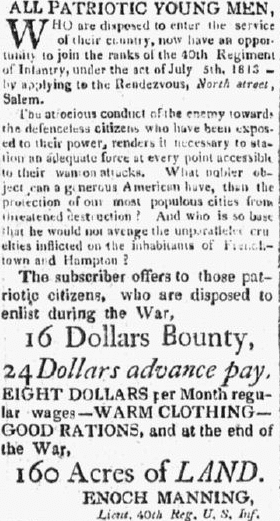 Introduction: In this article, Mary Harrell-Sesniak searches old newspapers to find recruitment ads that induced men to enlist in the War of 1812. Mary is a genealogist, author and editor with a strong technology background. Last year I wrote about the vast amount of genealogy data found in Civil War recruitment advertisements (see Civil War Recruitment Advertisements: What Induced Your Ancestor to Serve?). Incentives swayed the choice to enlist, and provide an interesting look into the decisions made by our veteran ancestors. 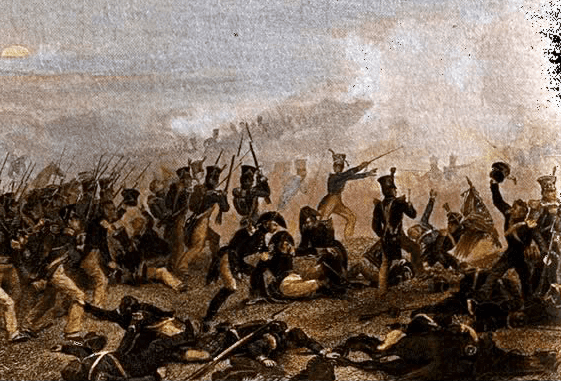 As a comparison, I decided to explore the War of 1812, which lasted from 18 June of 1812 to 18 February 1815. 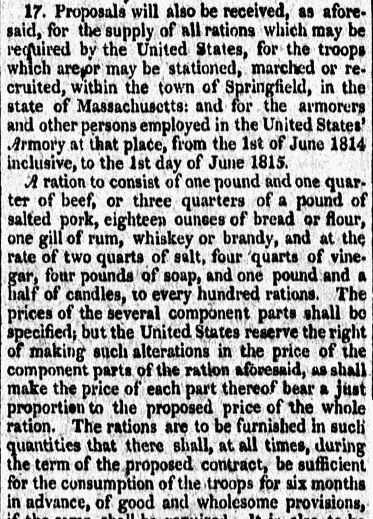 Were there similar newspaper ads offering similar perks like during the Civil War? Although I did not find as many variations as I found in Civil War ads, I did discover a number of intriguing offerings. Illustration: American infantry attack at the Battle of Lundy’s Lane, War of 1812, 25 July 1814. Credit: New York State Military Museum; Wikimedia Commons. Let’s take a brief look at what was happening during this time period. There were trade restrictions with France. American merchantmen found themselves impressed (forced to serve) into the Royal Navy. Native Americans, who opposed settlement on the western frontier, were receiving aid from Britain. The two sides traded insults, particularly after the British boarded an American frigate looking for British deserters. Research the Chesapeake–Leopard Affair of 22 June 1807 for more details. After war was declared, various acts of Congress were established to help in the recruiting process. As seen in most wars, bounties played an important role. At various times and with varying amounts, they provided rations, advance pay, regular wages and bounty land (typically 160 acres) upon finishing one’s term of service. 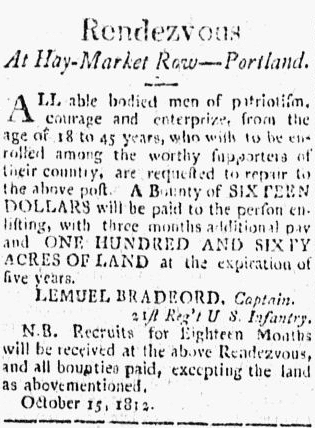 A November 1812 newspaper ad from Portland, Maine, stressed that able-bodied men of patriotism, between the age of 18-45, would receive an enlistment enticement of $16 with three months’ additional pay. Also, 160 acres of land would be provided at the expiration of five years, unless the enlistment was for 18 months. Note: According to the FamilySearch Wiki, this stemmed from an issuing act of 24 December 1811. 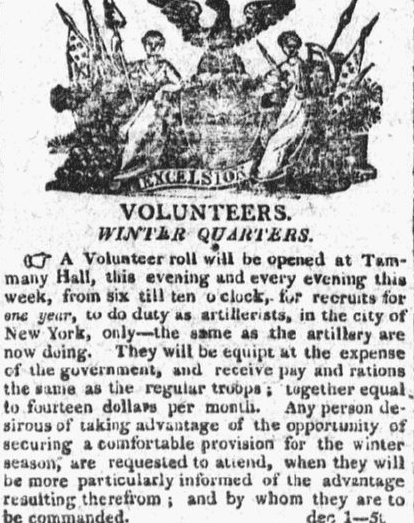 In the winter of 1812, volunteer artillerists were recruited for one-year terms to be stationed at the winter quarters. The sum of $14 per month (pay plus rations) was the same as regular troops received. In January of 1813, Capt. Jonas Holland invited “sons of freedom and independence” to join a troop of Light Dragoons. A bounty of $16, exclusive of clothing and rations, was offered, along with $8 a month pay. Upon discharge after completing the term, there would be an additional three months’ pay ($24) and 160 acres of land. What nobler object can a generous American have, than the protection of our most populous cities from threatened destruction? And who is so base that he would not avenge the unparalleled cruelties inflicted upon the inhabitants of Frenchtown and Hampton? By 1815, there was an increase in recruiting bounties and terms. Captain John A. Thomas, of the 25th Regiment U.S. Infantry, promised a $124 bounty for a five-year enlistment. 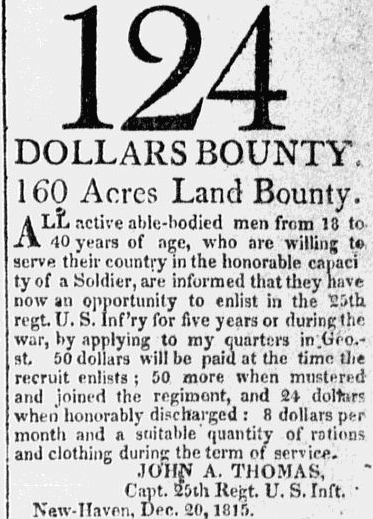 $50 would be paid upon enlistment, $50 when mustered, and $24 upon discharge, $8 per month pay, rations and clothing, and the customary bounty of 160 acres of land. 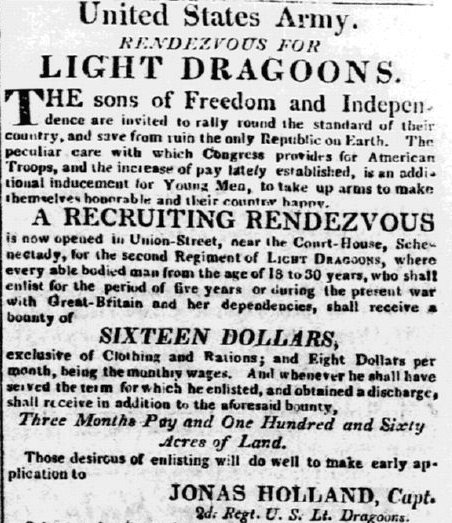 If you haven’t yet searched recruiting ads corresponding to ancestral service during the War of 1812, I welcome you to seek details within GenealogyBank’s Historical Newspaper Archives. Civil War Recruitment Advertisements: What Induced Your Ancestor to Serve?